Sometimes menstrual cramps can be very horrible. When you find yourself having an awful experience during your menstrual period, you can most certainly feel bumpy and depressed. Cramps result from the contraction of your uterus as it tries to expel the uterine lining. The experience is usually painful. Menstrual cramps are a common thing among women, although the experiences are usually different. Are you wondering how to get rid of menstrual cramps? Well, despite the challenges that come with menstrual cramps, women can do something to mitigate its effects. Here are some of the ways to help you learn how to get rid of cramps. Non-Steroidal Anti-Inflammatory Drugs such as ibuprofen are usually effective in dealing with menstrual cramps. 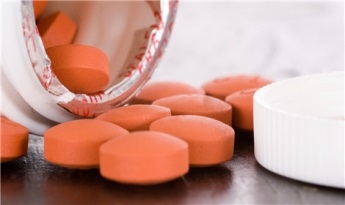 Ibuprofen can be obtained over the counter in brands such as IBU-200, Advil and so on. The drug should be taken right away based on the provided instructions. 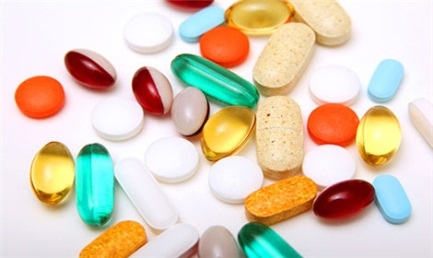 Bear in mind that do not take more than 1600 mg per day without medical advice. If you have certain medical conditions, Ibuprofen could be harmful because it can cause your blood to thin leading to other conditions. Alternatives to ibuprofen such as Midol can be used. Apply some pressure by putting a hot water bottle below the lower abdomen or on your stomach for about 20 minutes. If the pain doesn't go away, a hot bath with a cup of Epsom salts can be used. Epsom salts are in their nature mild muscle relaxers. Make sure that your body is submerged completely beneath the salty water and maintain the hot water temperature by ensuring that the faucet on, if need be. Adding vitamins to your diet before the menstrual period can help lessen the cramps especially using 500 International Units (IU’s) of Vitamin E on a daily basis until the first few days of your period. Other options that could help would include fish oil supplements, vitamin B1 and vitamin B6. 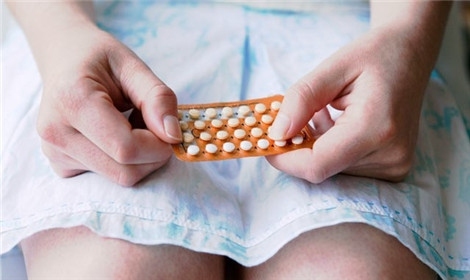 Birth control pills make the uterine lining to thin lessening the change of enormous shedding and contractions. Consult your doctor to use a pill that changes your menstrual cycles into a three-month period. Although it will help deal with the cramps, some blood spotting can be observed in between. Exercises can be very useful in reducing pain as a result of menstrual cramps. For instance, aerobic exercise like swimming, running and waking help a lot in easing cramps as they help in the blood circulation and in the stretching of abdominal muscles. 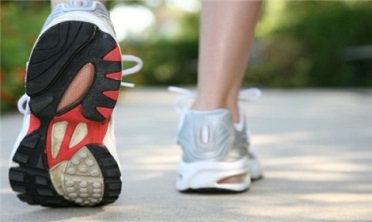 These physical activities enhance the production of endorphins that act as natural painkillers in your body. Besides, regular physical exercises in between the periods are very useful in dealing with cramps. Make use of gentle stretches that involve the muscles adjacent to the abdomen such as the pelvis muscles, the sides and the lower back. The Sphinx pose is a yoga pose for beginners that can be highly useful in reducing menstrual pain. It is usually done by laying the belly with the ankles placed at a hip’s distance. Your feet’s top should be pressed to the floor. The other body parts should assume the position as show below. Psychological stress can have detrimental effects on menstrual cramps. Your body normally produces additional prostaglandins as it responds to stress. The prostaglandins production induces pain and therefore, a reduction in stress would lead to a reduced cramp. Make sure you get enough rest and limit your involvement in many commitments. You can get some massage, breathe some fresh air and meditate to help you relax and get rid of menstrual cramps. Treatment with acupuncture is important in reducing menstrual cramps and the need for a lot of medication. Acupuncture works by making sure that there is a balance of qi or energy deficiencies in your body. A Qi imbalance during menstrual cramps is usually in the liver and spleen region. This works by relaxing your muscles and the mind. All muscle spasms can be relieved through passion flower tea. It leads to lighter and shorter menstrual cramps upon its intake. 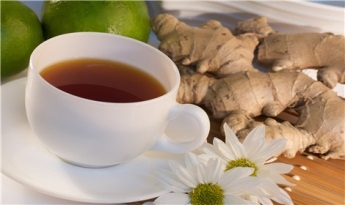 Ginger works in a similar way like ibuprofen in dealing with pain though at a slower rate. It works well when taken before and within the course of your menstrual periods. A banana works well in dealing with menstrual cramps because it is rich in potassium useful in getting rid of pain. Potassium helps the uterus muscles contract and relax. It gets rid of muscle spasms and mitigates bloating that is common during the menstrual period. The drink from boiled cinnamon twigs is mostly preferred to cinnamon powder mixed in boiled water. Avoiding caffeine, tobacco, alcohol and inactivity is really great tips on how to get rid of cramps. Avoiding salt about 3 days prior to and during the menstrual period is useful in preventing bloating that is responsible for increased cramp levels. Avoid fats as they tend to increase the detrimental effects of estrogen responsible for an increased cramp level and pain that comes with menstrual cycles. You can listen to soothing music of your choice and lie down with your eyes closed to relax and reduce cramps.